In an effort to walk with the bereaved during the difficult and painful period of mourning, Saint Patrick Parish offers a variety of programs through which we endeavor to be a faithful presence of hope and consolation through our Lord, Jesus Christ. Although we are deeply saddened by our loss, we do not grieve as those who have no hope (1 Thes. 4:13-18). Our faith teaches us that Christ died to secure for us the promise of salvation and assures us that we will be together with our loved ones again in the glorious presence of our Almighty Father for all eternity. For more information or if you would like to register for any Bereavement Ministry event, please call Patrice Fitzpatrick at 781-438-0200 or Mary Price at 781-438-0960. All are welcome. The Emmaus Ministry for Grieving Parents is a Catholic ministry for parents whose children of any age have died by any cause, no matter how long ago. Losing a child under any circumstance is horrific. Focusing on the spirituality of the grieving process can help tremendously. Please join us for our annual one-day, spiritual retreat offered in September each year. 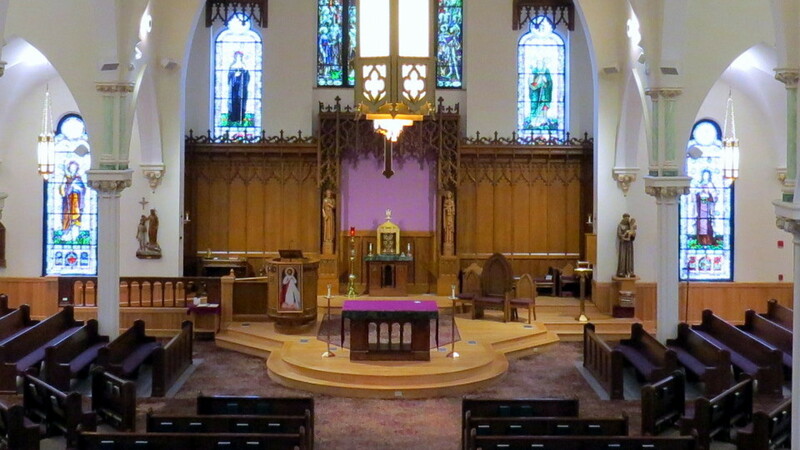 This year, the Emmaus One-Day Retreat will take place at Saint Patrick Parish on Saturday, September 21, 2019. For more information, contact Patrice at 781-438-0200 or visit the Emmaus Ministry for Grieving Parents website at www.emfgp.org . Pre-registration is helpful to ensure each participant a complete experience of the retreat day and may be completed through the www.emfgp.org website. Sponsored in part through the generosity of the McDonald-Finnegan Funeral Home, 322 Main Street Stoneham, MA 02180. A small participant fee is requested. Scholarships are available. If you have suffered the death of a loved one and feel you would benefit from prayerful reflection and conversation in a supportive Catholic Christian environment, please join our Grief Support Group which will meet here at Saint Patrick Parish for six consecutive Wednesday evenings from 6:00 – 7:30 pm. Our Grief Support Groups are offered twice yearly in the Spring and the Fall. Together, we will explore the grieving process and consider the spiritual elements of grief and healing. As part of these peer support group meetings, participants are invited to share their experiences with other grieving people who offer faithful understanding, acceptance, and support. For more information and to register, please call Patrice Fitzpatrick at 781-438-0200. Pre-registration is required. There is no fee for this offering which is sponsored by the McDonald-Finnegan Funeral Home, 322 Main Street Stoneham, MA 02180, 781-438-0405. There is no registration required to join us for these evenings of peer support for those grieving the death of a loved one. We meet in the Youth / Multi-Purpose Room on the basement level of the church building. For more information, please call Patrice at 781-438-0200. Come and join us whenever you feel the need for support in your grief. There is no fee for this offering which is sponsored by the McDonald-Finnegan Funeral Home, 322 Main Street Stoneham, MA 02180, 781-438-0405. Please note: If the second Monday of the month falls on a holiday, we will meet on the following Monday evening. If you have any questions about any of our Bereavement Ministry offerings, please call Patrice Fitzpatrick at 781-438-0200 or Mary Price at 781-438-0960.